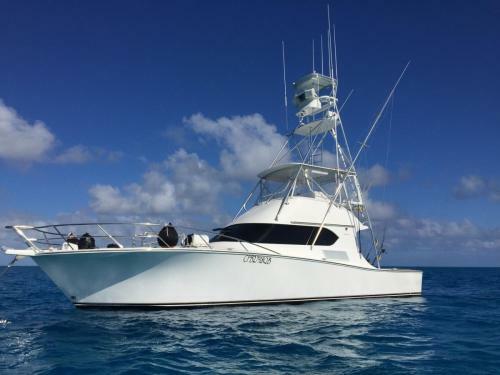 Captain Tim Dean can arrange the ultimate deep sea, marlin fishing charter to anywhere along the East Coast of Australia from Port Stephens to Cairns North Queensland. Come and explore the great deep sea fishing charters we can offer you at great locations and at great prices. 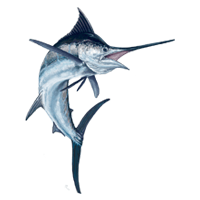 Calypso Fishing Adventures is a family owned and operated Big Game Fishing outfit. The new CALYPSO is ready for charter from July 2018. Contact Captain Tim for rates and availability. We are fully licensed and surveyed and you dont need a fishing license to fish with us, its already done for you. 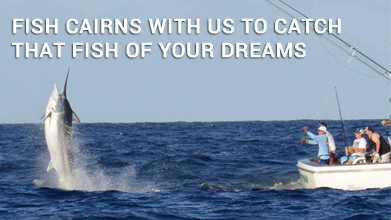 Please roam our site to see what Calypso Fishing Adventures Australia can offer you and your guests. 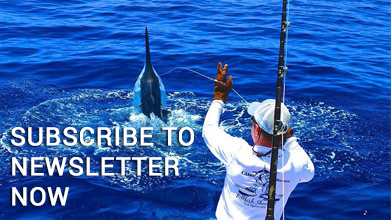 Join the members area for recent fishing reports and special deals from Captain Tim. Sport and Gamefishing, Big Game Flyfishing a specialty, Fishing clinics, Fishing Club Talks, deep sea fishing charters in Australia can be arranged to suit your budget and ability, large groups catered for. 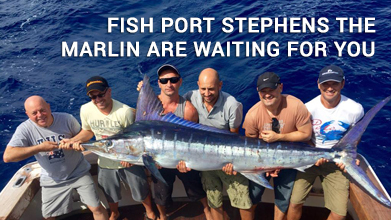 From the Giant Black Marlin off Cairns to the rampaging Blue Marlin, Black Marlin and Striped Marlin in Port Stephens come join a fishing charter with the team on board the boat Calypso. Great Barrier Reef 2015 from Wildcatter Media Production on Vimeo. 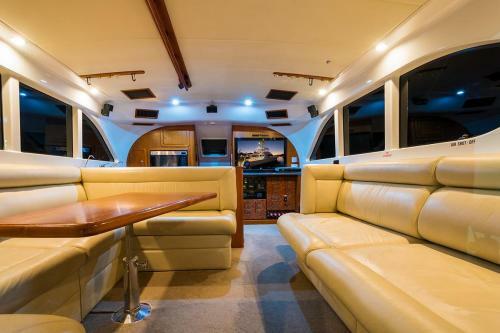 The new CALYPSO ready for your next adventure. Beautifully appointed throughout with all the comforts of home making your trip that extra bit special. We learnt so much from Tim and his crew when we did one of Tim's Fishing clinics was the best thing we ever did! "For many years now I have fished on the GBR. Tim and his crew are the most professional outfit I have had the pleasure to fish with-period." I had the best time fishing on Calypso and truly enjoyed my time. Being a world class fisherman that Tim is and the crew being warm and friendly made my experience a great one!